Starting something new is always a challenge. Well, simply because you will need to do your research first, then analyze your current situation, plan the new course and then go to action. For some people, it looks way too much work and they tend to find easier solutions that might not be the best ones (especially, when it comes to health). If you are the one who is not afraid of some work and would like to change your lifestyle to a healthy one, then you probably wonder, how to start it? In particular, how to start the Paleo diet? The key principle of the Paleo diet is to eat like our ancestors in the Paleolithic era did, mainly consuming vegetables, fruits, nuts, roots, and meat while staying away from certain foods such as dairy, processed goods, and alcohol to name a few. The Paleo diet has been adopted by many people from all over the world. If you’re currently wondering about how to start the Paleo diet, then you’re likely to have read about its many benefits for the body and mind. Indeed, the Paleo diet has many benefits such as increased energy levels, decreased inflammation, improved mental acuity and improved cardiovascular health (read more about the Paleo diet here). 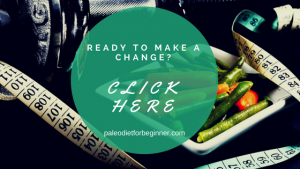 When people read about the benefits of the Paleo diet and decide to give it a try, they will usually ask themselves the question: “How do I start?”. Here I will provide you with some tips on how you could start the Paleo diet. This method has many pros. It allows for better craving control. Indeed, the first 5 to 7 days may be a little tough, but past that mark, people quickly get used to the diet and cravings for non-Paleo foods start to disappear. The benefits of the Paleo diet will also be experienced faster, as the energy levels will quickly go through the roof along with an overall feeling of well-being. The ‘cold turkey’ method has some cons, however, which are to consider. When suddenly making a drastic change to your diet, detox or withdrawal symptoms can be experienced. Another con could be the amount of discipline required, along with how this drastic change emphasizes the “all or nothing” mindset instead of the “slowly but surely” one. If you tend to rapidly get overwhelmed or you tend to shut down when you’re out of your comfort zone, going cold turkey might not be the right thing to do. Another good way to go Paleo is to gradually transition into it. You can slowly start your diet, excluding food groups one by one. For example, you could exclude sugar and get used to that for the first week. The second week, try to exclude gluten. The third week, get rid of grains and so forth. This gradual transition has some pros. It is not extreme and mainly requires some tiny (and somewhat effortless) tweaks here and there. It is not overwhelming nor does it cause deprivation feelings. Last but not least, if you progressively transition to a new diet; you are more likely to keep at it. However, if you choose to follow the gradual transition method, your cravings for non-Paleo foods are likely to linger for longer periods of time and the benefits from the diet can take longer to show and be experienced. When we start something new, one of the enemies of ours is overthinking. We tend to try to predict the next step without even taking the first step. First of all, what are your goals for this diet? Before you commit to any of the diets, you will need to set up a goal for yourself. If it is weight loss, set up the number of kilograms you would like to lose. If you would like to feel more energized, set up a plan of what you would like to accomplish through the day. If it is to support your overall health, set up a doctor’s check-up appointment, saying in a month etc. If you have a hard time just to start because you feel overwhelmed with the information, one of the ways to overcome it is to just start it! Look at the avoid foods list first (find it here) and understand why certain foods are not allowed. When you get an understanding of why certain foods are not allowed it is easier to exclude them. And then move to the next step. The best way to start a new diet is to know what exactly you will be eating every day. Most of us have a certain set of foods and meals they used to cook through the week. Now when you start a new diet, you would have to give up certain foods and a lot of people getting stacked at that point, as they are taken out of their comfort zone. Add busy routine to the top of that. Set yourself a date when you would like to start the paleo diet. Come to that date prepared. What it means is that it would be a great idea to search online meals that you usually cook but adjusted based on the Paleo diet principles. Believe me, there is not such an ingredient that cannot be substituted on the Paleo diet. Starting the Paleo diet with your adjust favorite meals is simply less stressful. Once you get familiar with the Paleo diet requirements you could look into other paleo diet meals. Look online or find a good recipe book (most of them sold as a downloadable version and cost cheaper that way). I very recommend this book, as it provides you with the paleo diet basics, as well as meal plans based on your health goals and recipes to these meal plans (check my review of the book over here). When the meal plan is drafted, prepare a shopping list. If you prefer to do groceries once a day or a couple of times a week, it is OK too. 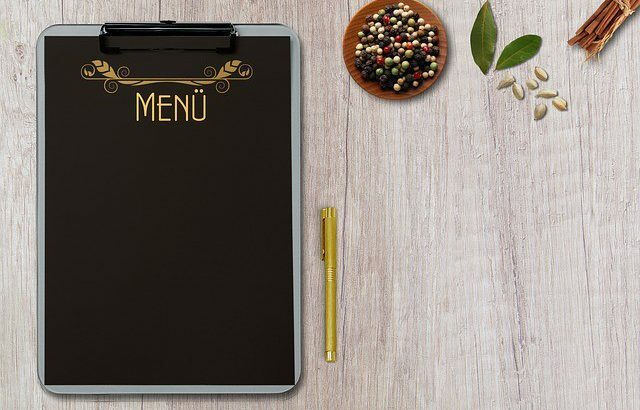 You could still prepare the shopping list applicable to the meals you will be cooking the same or the next day. The reason why it is so important to have a shopping list for the first couple of weeks is because being surrounded by the variety of junk foods in the groceries stores, it is very easy to pick something that you used to buy, but that might not be compliant with the paleo diet principles (check paleo shopping list sample over here). Honestly, I am not a type of person who likes cooking in advance. I prefer food to be freshly cooked. But when your household is busy, sometimes you do not have much of a choice, but to make sure that the food is cooked for a couple of days ahead. Making sure that you are covered with the cooked foods for a couple of days is very important, as your body will be adjusting to the new lifestyle. Moreover, your mind might be playing tricks with you, like “take this chocolate, one bite will not hurt”. I have been there. Having paleo snacks ready for your ‘h-angry’ games will help you to overcome that little devil in you. When you are a busy parent, the last thing you want to do is to come home all tired and think what your family will be eating. It adds more stress to you, especially when you start a new healthy lifestyle journey. It is so easy to ‘slip’ from the diet when you come home tired and have to think how to cook something to feed your family based on the newly accepted diet principles. Once you master your paleo cooking skills, the meals will be easier to think of and you might not even need to do meal preparation in advance! As I mentioned earlier, most of the non-paleo ingredients have its paleo-friendly substitutes. It might take some time and practice to work with certain ingredients (like coconut flour). But the more you cook it, the easier it gets and the more meal inspiration you will be having. Do not afraid to experiment. When I started the Paleo diet, there were so many fails I had. But even though sometimes it might be frustrating, you would get into the idea of what went wrong and how next time you could fix it. Start with the easiest 3-5 ingredient recipes and move forward with the difficulty of the recipes. And do not forget to have fun. Cooking is an art and you need to enjoy it. If you start a diet and you hate cooking, it adds more stress to you. Try to look at the food preparation as to something that you could enjoy and even maybe relieve some stress. And make sure to have proper cooking helpers available to you. One of them that will be a huge help is a food processor (check my review of one of the best food processors over here). It can be frustrating to look at some recipes and not knowing where to shop around for them. I remember that feeling when you found a perfect dessert recipe but half of the ingredients were not familiar to me. A lot of grocery stores nowadays hold items like coconut butter, almond flour, coconut flour, tahini, nutritional yeast, maple syrup etc. I know for some of you all these names might not be familiar, but there are certain ingredients that are the most commonly used in the paleo recipes. If your local grocery store does not have a specialized healthy section, try to look for specialized stores in your area. If still nothing, you could find most of these items and even more online (check what paleo essential foods can be purchased online over here). If weight loss if your primary goal, do not check every single morning whether you lost any pounds. It could be discouraging to see some weight gains, that is for the most associated with your body adjusting to the new lifestyle, rather than fat gain. Even though weight loss is not a primary goal of a paleo diet, you still could reach significant weight loss by following its principles. Moreover, you will not only shake those inches but will also get more energized and will simply feel better (check over here how the paleo diet can help with the weight loss). Don’t forget to make your environment supportive (and we mean both your pantry and your family or friends), surround yourself with like-minded people either in real life or virtually through forums and blogs, and always remember why you started when times get rough. A lot of groups will provide you with free support and advice in case if you have any questions. Reading success stories of other people who reached their health goals could also be encouraging. If so many people went paleo and felt fantastic what are you waiting for? 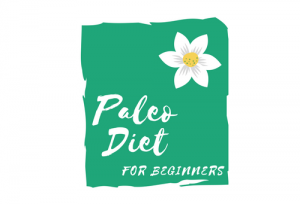 The Paleo Diet Basics how to start the paleo diet, method of starting the paleo diet, start the paleo diet, starting the paleo diet, tips to start the paleo diet. permalink. Thank you for your feedback! I am very happy that you found this information valuable! I have been on the paleo diet for over a year now. I also did cold turkey method when I started as for me it is either all or nothing 😀 It was hard for the first couple of weeks, but once you are set up with your meals and routine, the diet just gets more natural to be on rather than forcing to finish it. You can find more information about the paleo diet itself and its principles over here. Let me know if you have any questions and I will be more than happy to assist you! Great post really laying out the various options to starting this diet. It can be overwhelming and to know what to expect good and bad can really help set the mind right before jumping into this large of a change! We all would like to be healthy but getting overwhelmed with new information is so easy. A lot of us tend to give up just after trying to get their head around the new diet. I hope that this post will help a lot of people to change their lifestyles and get healthier, fitter and happier! I had heard somewhat about the Paleo diet, but never really knew the history behind it until I read your post. These are excellent tips to start a new diet. May I ask, what exercises do you suggest to compliment this diet plan, an example being yoga or cycling or aerobics…? If your goal is weight loss, about 80% of success comes on the nutrition part and only 20% on the exercises. The Paleo diet is not just a diet, it is not designed as a temporary solution like many other diets. It is a lifestyle that you would enjoy after experiencing all its benefits 9read more about the paleo diet over here and how it can help with the weight loss over here). As for the exercises, it will all depend on your goals. If your goal is to lose weight, cardio exercises will perfectly compliment your diet. If your goal is to increase your muscle weight, then weight lifting might be a better solution. I think your tip #7 is the biggest key isn’t it? We all want to stop our own momentum with that dumb scale! lol. Great post and well written. I like how you laid everything out for us. Thank you! It is so true that a lot of us would like to see changes on their scales with just staring at them every single day. The key to success is to hide them and trust the process!